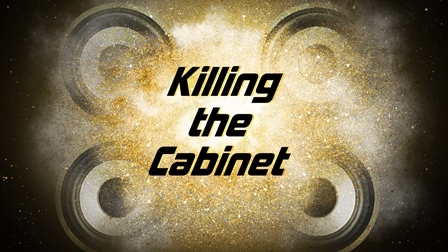 Killing the Cabinet’s second edition of artists and the charities they support focuses on five rock bands and their philanthropic efforts not only in raising funds and gathering supplies for those in need, but also their activism and vocal support (or disapproval of) political and social ideologies. The Beastie Boys have long been known for their participation in Tibetan freedom, their interest sparking in the early 90’s after the late Adam Yauch began practicing Buddhism and further through his meeting with the Dahlai Lama. Between 1996 and 2001, the Beastie Boys were the driving force behind a series of Tibetan Freedom Concerts that spanned across numerous countries, the first of which raised $8000,000. Always in support of those who have been affected by social injustices, the Beastie Boys also stood up for women’s rights after the 1999 Woodstock events in which many women were abused and molested in crowds during the concerts. In 2011, the Beastie Boys began selling action figures of themselves with proceeds going to the Pablove foundation and Alex’s Lemonade Stand, both of which helped children fighting cancer. After the 9/11 attacks on the World Trade Center, they headlined a benefit concert for less familiar organizations like the New York Women’s Foundation Disaster Relief Fund and the New York Association for New Americans. During intermission, Yauch invited speakers onstage to address issues of violence and war. Speakers included Yoko Ono and Ibrahim Ramey, the Muslim Fellowship leader. 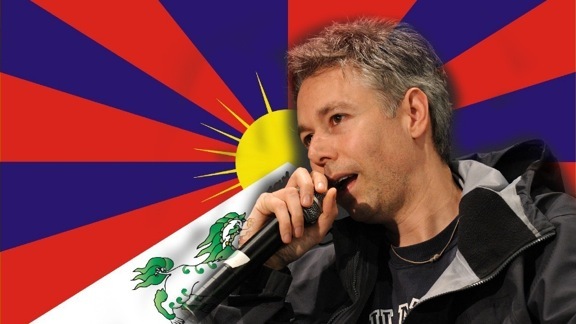 On 9/9/12, the 10th Memorial Interdependence Day Concert held in Los Angeles honored Yauch for his activism and willingness to speak out on issues of global injustice. 2012 was a successful year in philanthropy for jam band MOE who raised thousands of dollars for numerous charities, with most of their efforts geared towards schools in need. 2013 marks the 14th annual MOE.DOWN festival where, each year, the band presents the opportunity for fans to get involved in their efforts with fun activities like golf tournaments (raised $2,140 last year for the Future Farmers of America for the South Lewis High School Chapter, right near the festival site). In addition, the $3,100 was donated to the Stevens Swan Humane Society, all of which was funded through the golf outing. 2012 marked the 6th annual collection drive for organizations that are located near the festival site, collecting books and school supplies as well as donations. In addition, MOE held a hair donation event, collecting a total of 162 inches for Pantene’s Beautiful Lengths Program. Learn more about the festival and the events taking place this year here. Pearl Jam‘s Vitalogy Foundation supports non profit organizations in the fields of community health, the environment, arts and education, and social change in addition to their financial assistance to those affected by natural disasters. $2 from each concert ticket sold is donated to their foundation which supports organizations like Partners in Health, Stronghold Society, The Poverello Center (helping homeless in Montana), Blandford Nature Center, and The Girlz Rhythm and Rock Camp. They also devote an immense portion of their advocacy to raising awareness for the wrongfully convicted “West Memphis Three” in addition to their activism with the Arts Corps in Seattle since it was founded. Overall, Pearl Jam has been extremely involved in philanthropy throughout their years together. They even have a facebook page dedicated to their efforts. This month, Wilco teamed up with Out of Print Clothing and Veer for the Don Quixote Project, challenging fans to a t-shirt design contest with proceed of the sale, $4,000 to be exact, donated to 826 National, a non-profit organization dedicated to teaching kids to read and write. This is just one of many fund raisers that Wilco has embarked in, donating poster and drumsticks for organizations like Project Rescue Chicago, Grammy Foundation/Musicares Foundation, Sweet Relief Musicians Find, Farm Aid and more. They have been involved continuously with Oxfam International, working to end poverty and injustice in over 100 countries. In 2012, Wilco donated over $10,000 toward Oxfam Aide to Africa’s Sahel Famine. Learn more about the organization here. In May, 2012, the Red Hot Chili Peppers stood up in support of environmental activist, Captain Paul Watson, after he was taken into custody for allegedly interfering with Costa Rican shark fisherman in Guatemalan waters. Members of the Chili Peppers believe his arrest was due to his finding of an illegal shark finning operation. Long time supporters of Sea Shephard, there were information tables set up at each of their North American shows following Watson’s arrest, raising awareness of the issue. Known for their blatant and straightforward lyrics and discussions on everything from Native American genocide, Police oppression and racism to foreign policies, the Red hot Chili Peppers have always been vocal and active in their beliefs (although famously scrutinized for their 2011 Tel Aviv show in Israel despite the human rights violations against Palestinians in the area). Along with their many acts of charity over the years, they have also been extremely active with the Silverlake Conservatory of Music, a non-profit organization founded by bassist Michael “Flea” Balzary, offering people the opportunity to study music, granting scholarships for those who qualify and providing free lessons and instruments to those in need. Along with many other bands and artists, movie stars and television actors, these five bands have used their celebrity to bring support and awareness where it is needed most.